A Charming Home ready to move in! 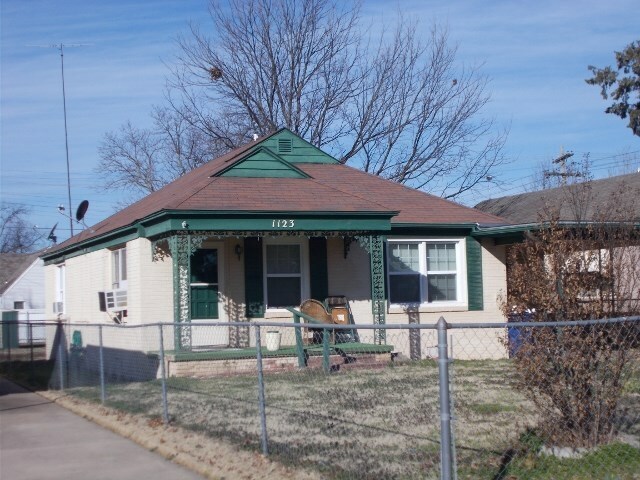 Nice 2 bedroom 1 bath in good condition includes kitchen with gas stove & refrigerator, microwave & lots of cabinets, inside laundry with washer/dryer, updated bathroom, large living room, ample dining area & large walk in closet. Exterior offers a Sweet covered front porch, fenced yard(front and back yard), carport, storage shed & double carport with alley entract ideal for extra vehicles, boat, etc. CALL Karl Jacobs at 580.467.4915 for appointment to see this nice home!